*Image and book provided by NetGalley for an honest review. 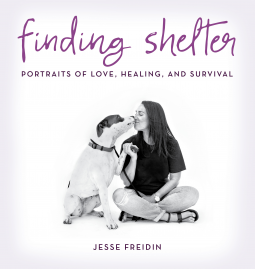 A collection of mini-biographies, photos and short stories about people who volunteer at their local animal shelters. This is a relatively short book that is full of love. The love people have for helping animals find homes and the love that the animals have for the humans who help them. All of the stories and photos in this book center around dogs. Some cats get mentioned, but this is completely a book for dog lovers. Still, it's such an inspiring book that I've actually looked at volunteering at local shelters myself (nearest one is, sadly, a two hour bus trip one way). But there are so many stories about how the little things you can do make a big difference to a dog's life. More often there are stories about what those same dogs can do for you. If you are a dog lover or are in need of some heartwarming stories, I cannot recommend this book enough. This is a great book for animal lovers and it will remind you that there are good things going on in this world.